Diffusers ALPHAcoustic-CiTY.WOOD offer an excellent method to resolve complex acoustic problems in spaces with flater echo and giving a sense of spaciousness, without “overdeadening” the space. They combine acoustic diffusion and aesthetic appearance. Adding sound diffuser to an acoustic room treatment can improve the speech intelligibility and improve the overall listening environment within the room, without adding excessive amounts of sound absorption materials. 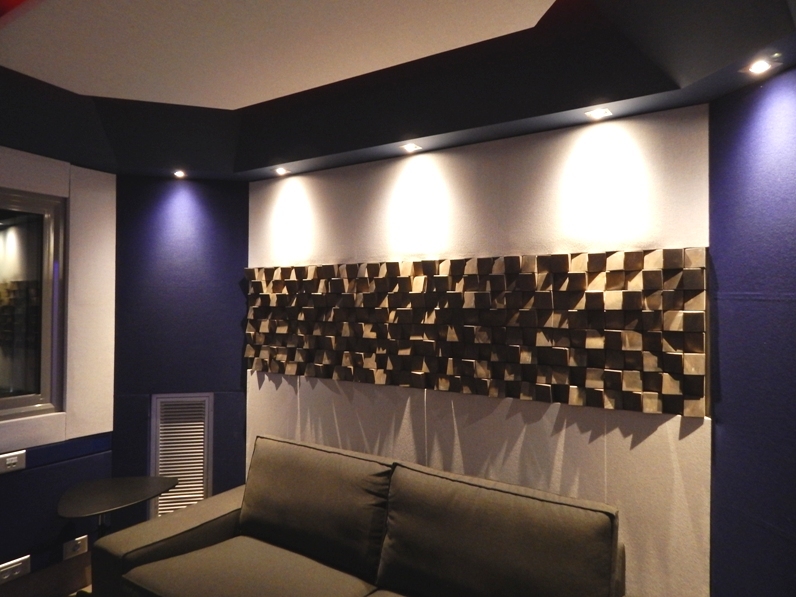 Specially designed acoustic diffusers ALPHAcoustic-city. WOOD help in conserving sound energy and also help spread it around to achieve even distribution. Absorbers and diffusers are two of the main design tools for altering the acoustic conditions of a room. 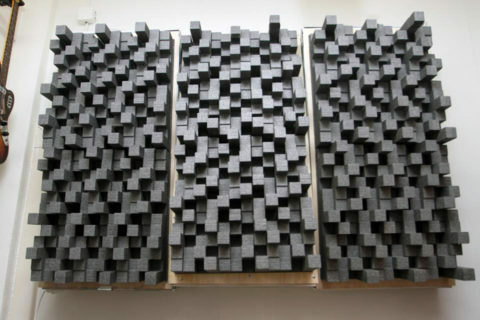 In small rooms it is often preferred to control interfering reflections and provide an ambient uni- formal sound field using diffusion instead of absorption. They also improve the sound articulation index of a room. Acoustic design of a room uses just sound absorption and can leave a room feeling cavernous but also dead spots in the room. They are designed to scatter or disperse sound waves, thereby reducing standing waves and echoes and creating a better acoustic environment. 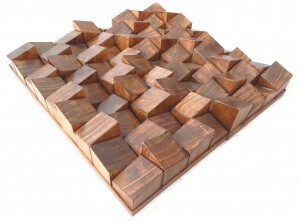 ALPHAcoustic-city Wood is a sound diffuser, whose deep cavities and wells provide a wide sound diffusion bandwidth. Diffusers ALPHAcoustic-CiTY.WOOD offer an excellent method to resolve complex acoustic problems in spaces with flater echo and giving a sense of spaciousness, without “overdeadening” the space. 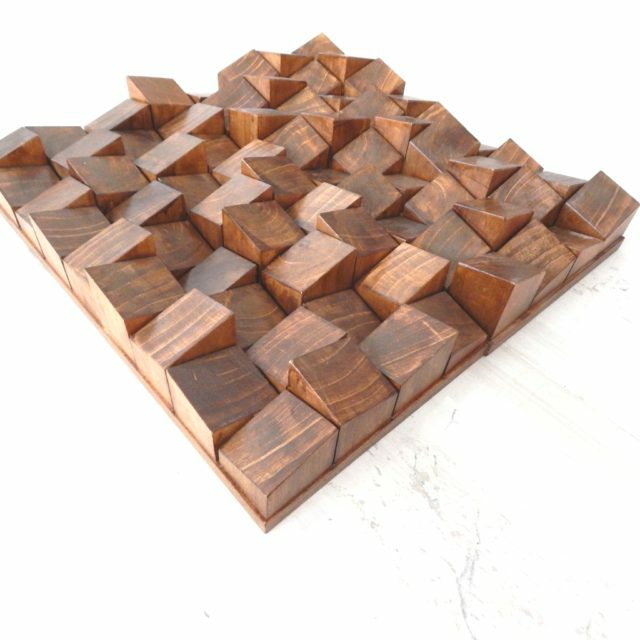 They combine acoustic diffusion and aesthetic appearance using real wood. The semi transparent veneer highlights the real nature and essence of real wood. It’s special design of striking angled upper surface and it’s different lengths, plus different pieces at each side offer diffusion of acoustic energy in closed spaces. 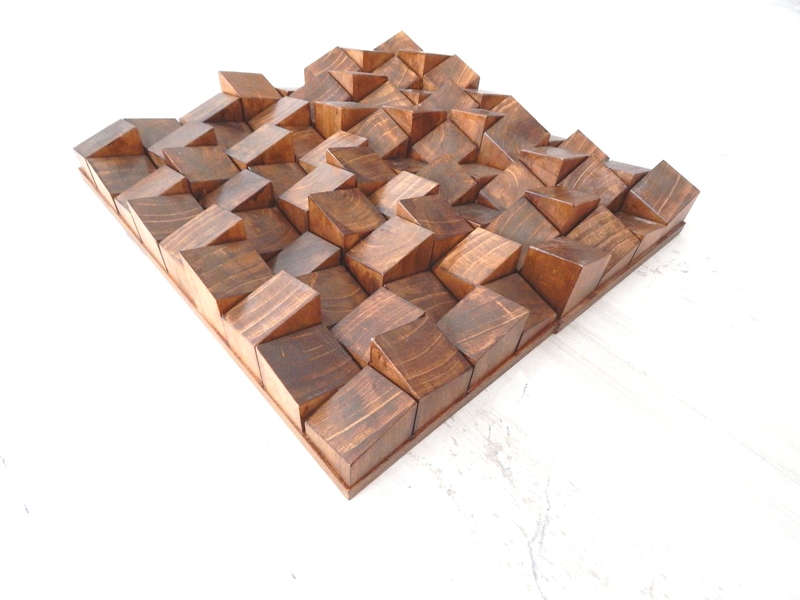 The wooden acoustic diffusers city.WOOD can be easily mounted on the wall due to their clever hanging system at the back side of each piece (60x30cm). 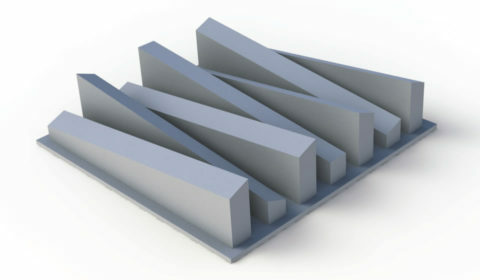 Attention must be paid at the orientation of each diffuser, as they must be facing the same direction. 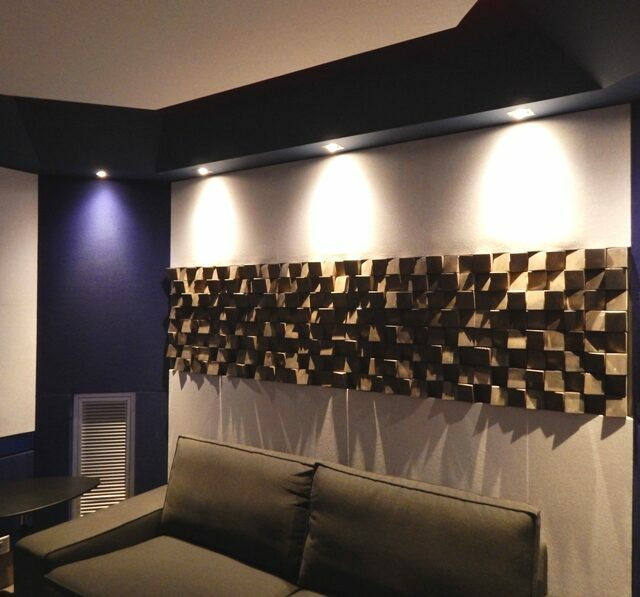 Acoustic diffusers can also be mounted on the wall of any type i.e. brick, drywall, concrete. Do not hesitate to contact us at info@alphacoustic.com for additional installation instructions for any of the acoustic diffusers.